Need Tow Truck Insurance? Fast Quotes and Great Rates Available Seven Days per Week! When searching for Tow Truck Insurance for your business call Pathway Insurance at 1-800-998-0662 or click on Tow Truck Insurance Quote to send us your request for information and quotes 24 hours per day. We offer Commercial Auto Insurance for Tow Only Service companies including repo work, Insurance for Auto Repair Garages, and Insurance for Car Dealerships both new and used throughout the United States. Licensed agents are available seven days per week for quotes and coverage by means of our chat system available up until 5 PM CST or 4 PM Mountain Time. Tow Truck Companies may also need to comply with federal laws and you can visit the FMCSA for more details. Tow Truck Insurance May Be More Complicated Than You Think. Your business is your largest investment and it’s important to make sure that you have the right coverage to protect you financially. If you are missing essential coverage from your policy that could mean the difference between the need for your company to pay a significant amount of money out of pocket versus a small deductible on your policy. What Coverage Is Needed for Your Business? It really depends upon the services your company offers. For instance, if you only offer emergency towing and recovery service and do not at any time keep customer vehicles it’s possible that you do not need Garage Keepers Insurance. If you’re not sure what Garage Keepers Insurance covers click Garage Keepers Insurance to learn more. However, if customer vehicles are in your possession after being towed by your company you need Garage Keepers Insurance. One of our licensed agents can help you know what coverage you might need. Call 800-998-0662 or click Commercial Truck Insurance Quotes to submit your request for information seven days per week. A licensed agent will call or email. 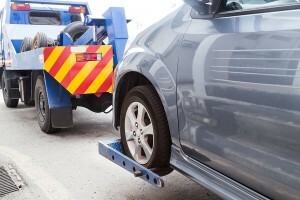 Tow Truck Insurance Policy – Coverage You Probably Should Not Skip. Let’s consider a fictional claim scenario to learn about the important coverage you probably should not skip even if you are short on funds. Claim scenario: Patrick “Paddy” Henderson has worked for his cousin Bob for the last seven years at Big Bob’s Towing Service. Paddy is a little envious that his cousin Bob. He lives in a big house, has at least 2 girlfriends, goes to Vegas every couple months, and is driving a brand-new Corvette. Paddy doesn’t have the time or the money for a steady girlfriend because he is only getting paid $11 bucks an hour plus he is constantly dealing with mad customers getting their vehicles repossessed, towed by the police, or dealing with hotheads who just smashed their vehicle up in an accident. “Hmmm… Never thought about doing that, but that might be just the ticket.” Paddy states. “Sounds pretty good to me, let’s do it. I can put up with a lot of nonsense from customers if I get 50% of the money.” Paddy replies. Over drinks that evening, the Paddy and Jerry Towing Service is formed. Paddy obviously doesn’t have any money so Jerry agrees to make the initial investment to buy a tow truck and the insurance, and he will also care for the management duties. Paddy agrees to be the driver and he knows some of the banks to get repo work. Paddy makes a few calls to some of the managers and promises a 25% rate reduction in their fees to take business away from his cousin Bob at Big Bob’s Towing Service, and they readily agree. Paddy is also friends with a number of the police officers and promises free beer for city work. 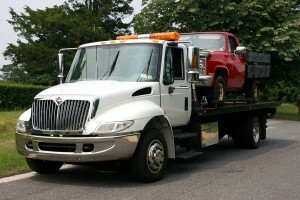 Comprehensive Tow Truck Insurance Is Expensive But Necessary. To get started they need tow truck insurance so Paddy calls around and is a bit shocked at the price for a full insurance package. Despite shopping around for cheap tow truck insurance the best rate they can find for the tow truck they purchased was about $10,000 per year. Paddy talks to his partner Jerry and they decide to go with the basic coverage for now eliminating what they felt was unnecessary and upgrade later when they have extra money. They buy the state minimum limit for their state and full coverage on the truck since they had to take a loan. Work picks up pretty quickly for the Paddy and Jerry Towing Service Company, Paddy is making more than double what he was earning before but he is working about 75 hours per week which he doesn’t really mind because he can spend all that extra money later he figures. Jerry made out on the deal as well because he keeps his full-time job as a police officer and handles dispatches on his work cell phone. Life is good financially for both Paddy and Jerry. On a Saturday afternoon, Jerry dispatches Paddy to pick up a brand-new BMW i3 that was just involved in a minor fender bender. Paddy hooks up the small BMW to his tow truck and he starts heading to the dealership which is about 27 miles away. Paddy gets on the highway traveling north and he remembered that he forgot to call Jerry to let him know where he was going. He and his business partner are chit-chatting about what a good decision it was to open up their new tow truck company. Paddy takes his eye off the road for just one or two seconds and he did not notice until it was too late, that all of the vehicles in front of him slowed down because of an accident. Tow Truck Insurance -This is What Happens When Coverage Is Missing. Paddy’s tow truck hits a cement truck in front of him as he was going about 15 mph causing a significant amount of front-end damage to the tow truck and the BMW came off the lift, damaging it and the winch as well. The BMW landed upside down on the right lane of the highway. Fortunately, the airbags in the tow truck protected Paddy from serious harm or worse but making impact with the cement truck landed him a trip to the emergency room, in addition to an overnight stay in the hospital for the concussion he sustained. All told there was about $42,000 of damages to the tow truck, $21,712 in damages to the BMW, $5,000 in damages to the cement truck Paddy hit and Paddy’s hospital emergency room bill amounted to $19,872. Why did the insurance company not pay for the BMW or the hospital bill? Skipping the above coverage ended up costing their new company almost $42,000 in out of pocket claims settlements. Their company was doing very well financially so it did not cause them to close their business but both had to work for free for the next six months to pay for the claim. What is Included in the Commercial Auto Insurance Policy? While it is a fact state law governs basic definitions of insurance and enforces laws for both insurance companies and those who are required to purchase insurance, insurance companies are free to add, modify, or restrict coverage to suit their business needs to gain a competitive edge or reduce claims. Example one Tow Truck Insurance Company only offers List Only coverage for vehicles and drivers. Coverage only extends to vehicles and drivers listed on the application and if a vehicle or driver not listed on the application is involved in an accident or claim, no coverage will extend. Example: Lying Ted Grimes has trouble telling the truth, especially when it comes to his Commercial Truck Insurance for his Repo company, Carjack Repo Ltd.
Ted is in a bit of a spot after just getting cancelled once again he desperately needs the coverage to keep his repo contracts with lenders that hire Ted for his skills in repossessing vehicles from deadbeat customers and Ted is busy- there is no shortage of customers that can’t seem to make the second payment on their high-risk car loan keeping Carjack Repo Ltd, the company Ted founded 10 years ago busy 24/7. The broker Ted has used for years is fed up with Ted and tells him after his last cancellation that he doesn’t have another company that will insure him – that was only partially true, the broker has lost money on Ted and doesn’t want his business anymore, so more or less the broker tells Lying Ted to hit the bricks, he is done and can’t help him. Ted finds a company that will insure him, but he needs to deposit $10,000 with the insurance company or sign over one of the titles to get the insurance he needs + Ted needs to pony up $25,000 per truck to stay in business and Ted has 3 trucks he needs to insure – now Ted has further reason to hate insurance companies- they are robbing him blind in his mind! Because the rates are the highest Lying Ted has ever paid he sticks to his modus operandi and doesn’t tell his newest insurance company about the other 3 trucks he keeps on the road + his 3 best drivers who have multiple felonies, tons of tickets and always on the verge of losing their license. shoot Benny Big Hands Johnston doesn’t have a license anymore but he gets cars no one else can get and Lying Ted tells Benny he can’t get him insured so he has got to be careful driving since he doesn’t have a license or insurance for the rig he is driving. Benny Big Hands Johnston doesn’t have a license anymore but he gets cars no one else can get and Lying Ted tells Benny he can’t get him insured so he has got to be careful driving since he doesn’t have a license or insurance for the rig he is driving. “No problem Ted, I won’t get caught.” Benny smiles. There was only one small problem that developed later…Benny got caught and a claim happened. Ted knows that truck and Benny were not listed on his Commercial Truck Insurance Policy but he files the claim anyway because there were multiple incidental accidents involving a repo that went seriously wrong for Benny on that early Sunday morning and the local authorities. What happened with the claim? It was naturally denied and we will get into the details later but suffice to say Lying Ted was canceled by the last resort insurance company and that is when his financial and some legal troubles began for Ted but he had one last card up his sleeve he would play later on to keep himself in business. What lesson can we learn from Lying Ted’s example? The policy you purchase may be written on a List Only basis and that means coverage only extends if the drivers and vehicles listed on the policy are the ones involved in the claim. It is important for you to know what policy you bought, would you not agree with that statement? Need Commercial Tow Truck Insurance Today? Pathway Insurance is a leading Commercial Truck Insurance Broker specializing in selling Tow Truck Insurance in Illinois, Wisconsin, Michigan, Indiana, Ohio, Colorado, Minnesota, Missouri, Kentucky, Tennessee, New Mexico, Texas, Arizona, Georgia, Florida, the state of Maryland, and Alaska with more states being added every month. You can speak to our agents by phone up until 4 PM Mountain Time, 5 Central Time or up to 6 EST Monday-Friday by dialing 1-800-998-0662, or you can use our online chat system 7 days per week. One final option to contact us 24 hours per day is to use the link below for your specific state in which your business is located or domiciled.